The Beauty of Life: Introducing The Beauty of Life's New Intern, Jennifer Lee! Introducing The Beauty of Life's New Intern, Jennifer Lee! Fellow beauty chicks, I'm thrilled to introduce a very special member to The Beauty of Life team. Please welcome the utterly fabulous Jennifer Lee to the forum! Jennifer is the new intern on board -- she'll be writing product reviews, trying out tons of products and generally loving beauty as much as everyone else around here. (And is she not the most adorable person ever?) Discover some of her favorite products, how she came to love beauty so much and more after the jump! I grew up in a pretty conservative family and wasn’t really allowed to use makeup until college. Can you imagine the repressed psychosis? As a tween, I would go to bookstores and camp out in the magazine section, memorizing looks. When I got to high school, I would ravenously go through my friend Marian’s makeup. And now, I am a full-fledged [makeup] junkie. You know the heart-quickening anticipation you get right before Space Mountain? That’s literally the feeling I have when I’m in the beauty aisle. My everyday look consists of just mascara and blush. At night, I’m pretty strict with nightly skincare; I always use eye cream and face lotion. Also, I’m in love with L’Occitane Olive Oil Toner -- it naturally moisturizes and exfoliates. What are your top five favorite products? 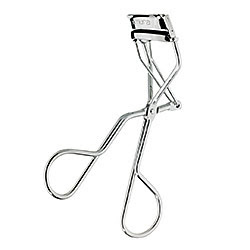 1) Shu Uemura eyelash curler. I have stick-straight lashes and this opens up my eyes beautifully. 2) Shu Uemura Cleansing Oil. This melts away makeup, including liquid eyeliner and waterproof mascara, without tugging at the sensitive eye area. 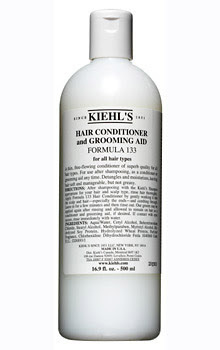 3) Kiehl's Hair Conditioner and Grooming Aid Formula 133. I discovered this product in Miami’s humid summer and been in love with it ever since. It’s the perfect non-greasy detangler. 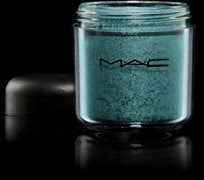 4) M.A.C eye color. The pigments are so rich and gorgeous! 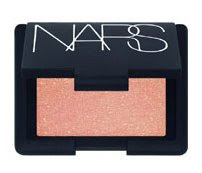 5) NARS blush. Compliments every skin tone and is silky smooth. If you were stranded on a desert island, what's the one product you couldn't live without? Can I have two things? I’m addicted to lip balm and I totally need sunscreen. I’m a huge sunscreen advocate. I put on SPF20+ everyday -- even in the winter! When you're not writing for The Beauty of Life, what do you do for fun? I’m a gigantic foodie! I LOVE to eat, cook and drink wine. The Food Network is my background channel of choice and I love reading cookbooks (as in, I’ll curl up in bed with a cookbook before I go to sleep). My friend Hubert calls me The Beast because of my copious food consumption, and my boss at my last job actually asked if I was diabetic (apparently they’re always eating to maintain sugar levels).